Brief Description: Are you a Charlton Athletic supporter? Do you attend every home game and follow the club’s progress in the League? Can you name all the great players, past and present, who have passed through Charlton’s doors? 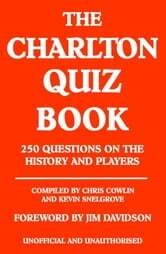 If you think you are an expert on The Addicks, the time has come to put your knowledge to the test with The Charlton Athletic Quiz Book?With 250 challenging questions on all aspects of the club, including honours and history, top goalscorers, playing positions and nationalities and memorable managers, as well as a wealth of information about individual players, this book is certain to get you thinking. Even the most dedicated Addicks supporter is bound to discover something new.Full of fascinating facts, this quiz book will provide hours of fun for football fans of all ages and it is an easy way for younger Addicks fans to learn more about the club. 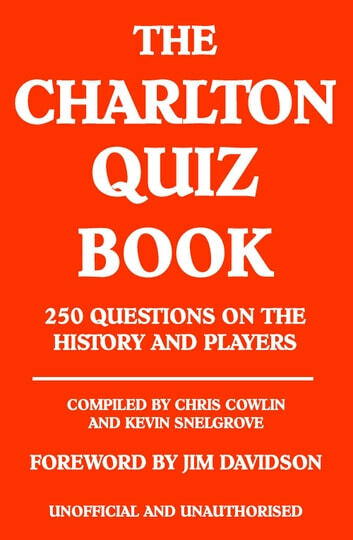 Perfect for match day to find out who really knows the most about Charlton Athletic FC, but are you up to the challenge?